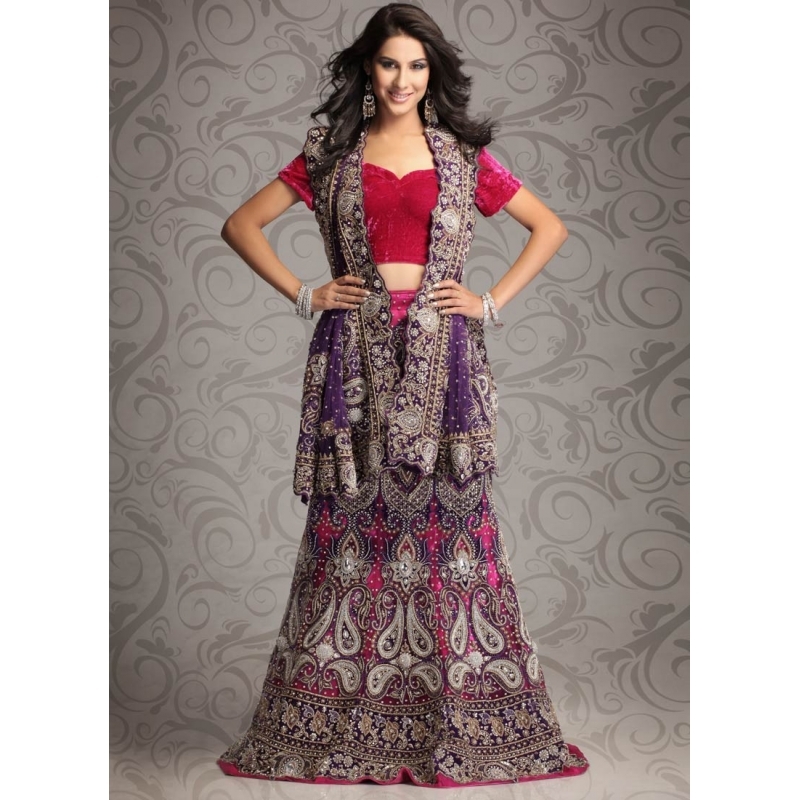 Soak in the beauty of ornate pink and purple shades in this fabulous bridal lehenga choli. 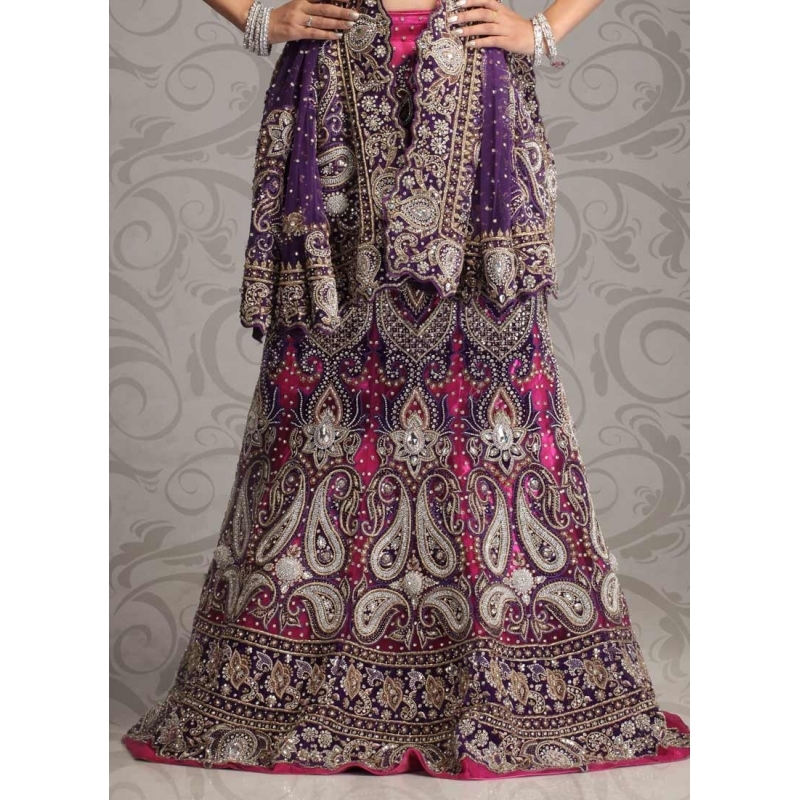 Lehenga in net features embroidered buttis. Varied appliqued patterns are generously embellished using rich zardosi work, stones and crystals. Zardosi and stone rich hemline enhances the appeal. Comes with a matching choli and dupatta.